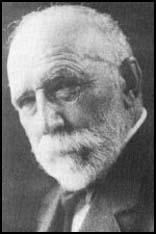 Frederick Weyerhaeuser was born in Niedersaulheim, Germany, in 1834. He emigrated to America in 1852 and worked as a labourer in Erie, Pennsylvania. After marrying Elizabeth Bladel he moved to Illinois where he found work in a sawmill. Weyerhaeuser saved as much money as he could and in 1857 managed to buy a sawmill and timber yard in Rock Island. The business was a great success and he acquired additional sawmills on the shores of the Mississippi. He also purchased large forests in Wisconsin, Minnesota, Idaho, Washington and Oregon. By the end of the 19th century Weyerhaeuser owned more timberland than any other American. A man with strong humanitarian principles, Weyerhaeuser showed a greater concern for his work-force than most other employers in the United States. Frederick Weyerhaeuser died in 1914.